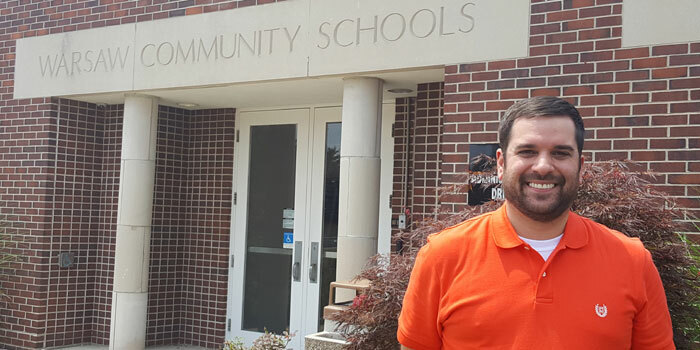 WARSAW — Lakeview Middle School announced the hiring of Andrew Wilson as the new assistant principal of Lakeview Middle School, effective Monday, July 25. Wilson obtained his bachelor’s degree at Indiana University-Indianapolis in 2008 and continued on to obtain both his master’s degree and administrator’s license from Indiana Wesleyan University. Wilson has served as a language arts teacher at Goshen Middle School, Goshen, and Creekside Middle School, Carmel. In addition, he has worked with students and staff as an academic team leader as well as a student council sponsor. In addition to his in-classroom experience, Wilson has served as an Academic Super Bowl Team leader, basketball coach, language arts book adoption committee member and school improvement committee member.